NOT for RV's it has big 10-inch wheels. Great for generally all tail dragger aircraft up to 2,000 pounds. 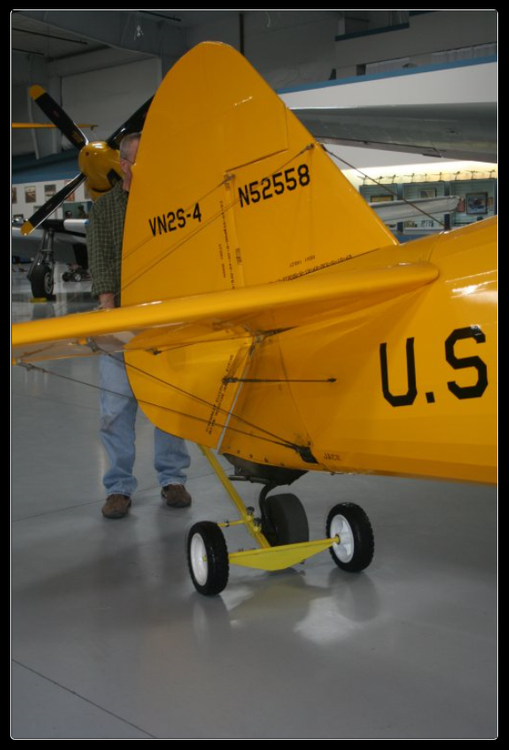 The wheels are larger for door lips & tracks but require over 10-inches of ground clearance FWD of the tail wheel due to the larger diameter wheels. 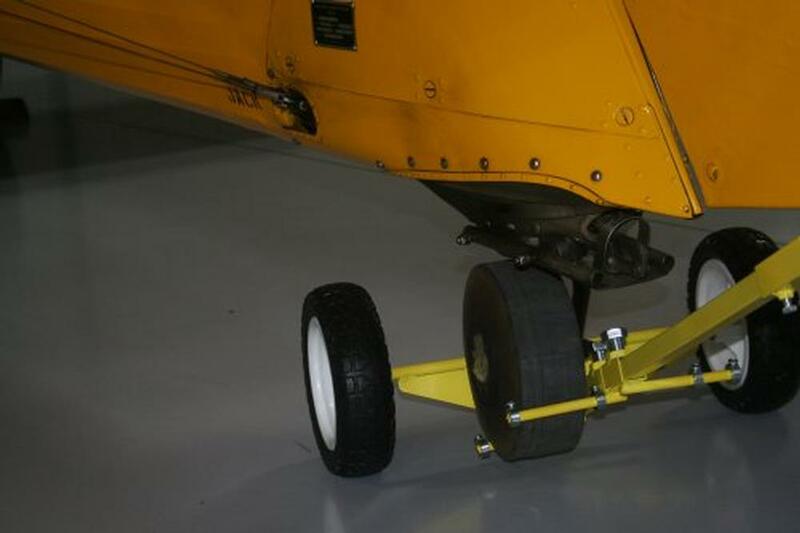 This PICKER-2A tail wheel tug is shown on a Stearman aircraft, however, the PICKER-2B, (or -1B), is preferred because of the higher load capacity of the four wheels and is much better suited for such an aircraft. Has (2) sets of infinitely adjustable pins (1) set per side.